BAKER Drivetrain has introduced a replacement shift lever for use on all '80-'06 (except '06 Dyna) five-speed Big Twin models. Investment cast 303L stainless steel is used in the manufacture of the new Truss Style shift lever, which features not only a thicker cross section for a stronger overall design, but also an improved design to the splines to prevent stripping. 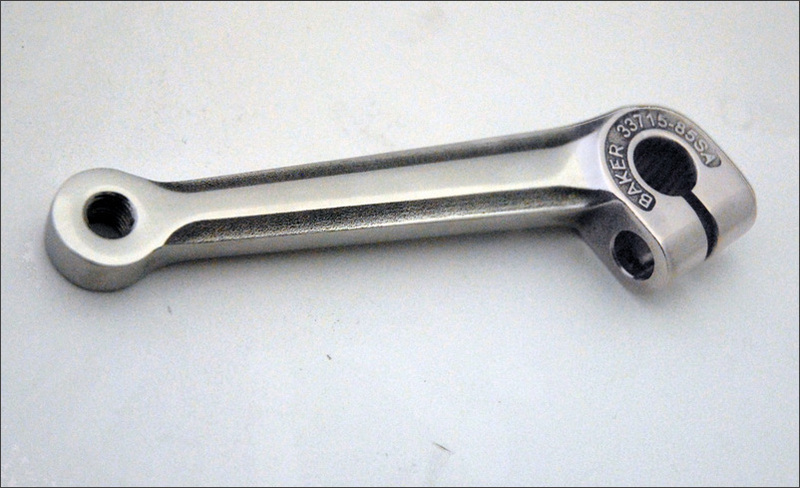 Supplied polished, and with a polished stainless steel pinch bolt, the lever will also fit Big Dogs and custom builds with five-speed style shift levers.